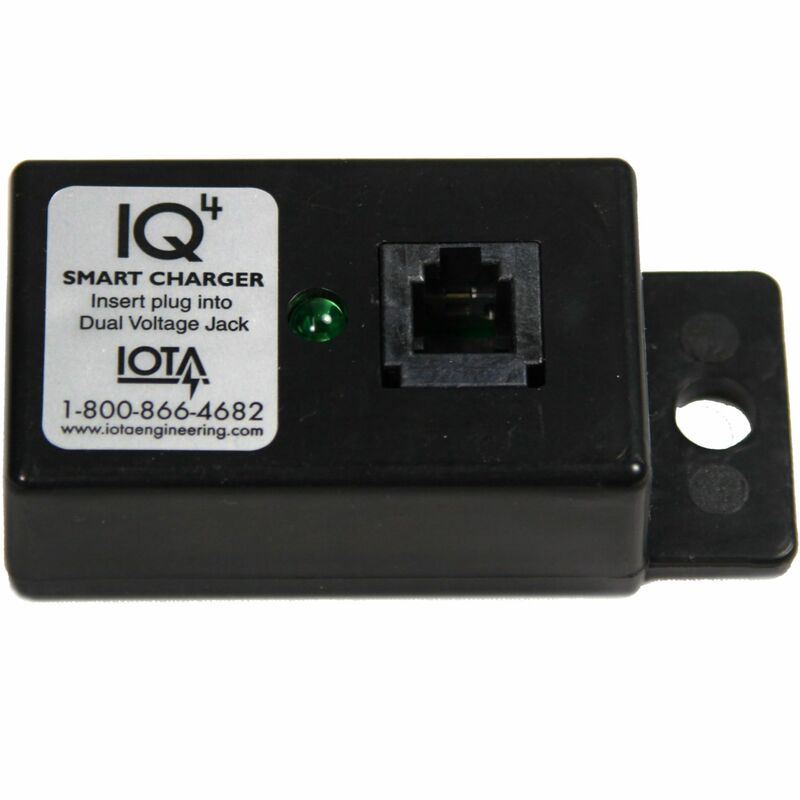 The IOTA IQ4 features Smart Charge Controller delivers 4 basic charging functions: BULK, ABSORPTION, and FLOAT, and a seven-day MAINTENANCE cycle. 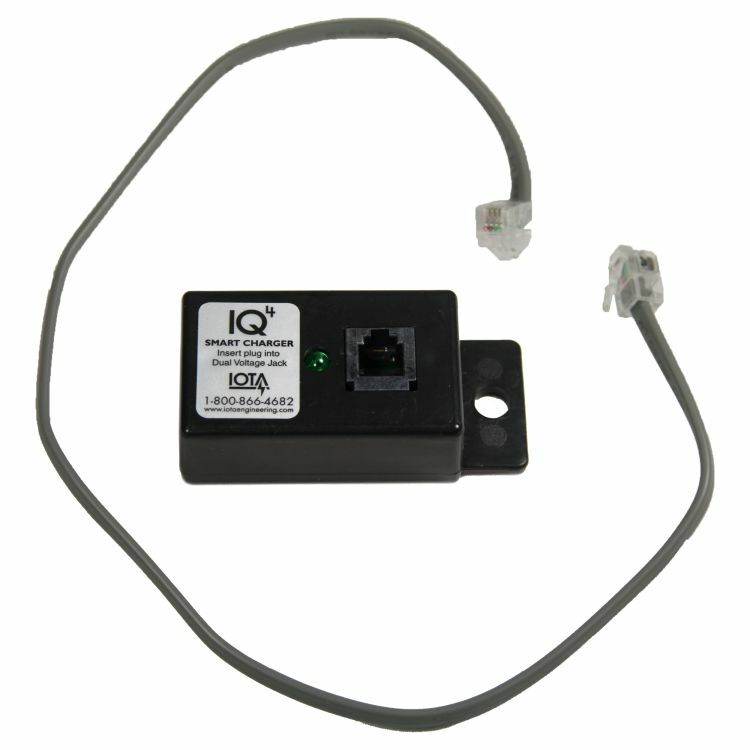 The IQ4 is an excellent way to maintain your stored flooded lead acid batteries, such as in an RV that is parked for extended periods of time. BULK - The Bulk Stage of the IQ4 allows the batteries to be charged from the full rated output of the charger. This increased charging period reduces the overall charging time of the battery. ABSORPTION - After the Bulk Stage, the IQ4 then moves to the Absorption Stage. This mode will continue for up to 480 minutes (8 hours) to ensure that the battery receives a complete charge. FLOAT- During the Float Stage, the IQ4 reduces the DLS charge voltage. This reduced voltage maintains the full charge while minimizing 'gassing' of the battery. The IQ4's float stage prevents boiling and bulging of the battery caused when the battery is exposed to higher charging voltages for too long. MAINTENANCE - If the batteries remain in a "float stage" for a seven-day period, the IQ4 will switch the DLS charger into a pre-programmed Maintenance Stage. This protects the life of your battery by dissolving any sulfate layer on the battery's internal plates and avoids stratification that can occur when a battery has not been in use for extended periods. If the batteries remain in a "float stage" for a seven-day period, the IQ4 will switch to a pre-programmed Maintenance Stage. The Maintenance Stage helps dissolve sulfation within the battery and avoids stratification. Do you own the IQ4? Please, tell us what you think about it. It helps us provide you with better products. Please note that it may take up to 72 hours for your review to appear.